Different Types of Life Insurance Policies - How Much Do You Need? Different Types of Life Insurance Policies – How Much Do You Need? Many people’s first experience with life insurance is when a friend or acquaintance gets an insurance license. In my case, a college friend, recently hired by a major insurance company, contacted me to buy a $10,000 policy. He reached out to several other friends as well, and many of us signed on the dotted line. Though this isn’t the ideal way to buy life insurance, it is, nonetheless, the way by which most people acquire it: They don’t buy life insurance – it is sold to them. As I grew older, got married, started a family, and started a business, I realized that life insurance was indispensable and fundamental to a sound financial plan. I needed insurance to protect my family in the event of my premature death or my inability to build an estate. While the amount of coverage I needed varied as I grew older and my responsibilities changed, the fundamental benefit of life insurance – protecting my loved ones from the risk that I might die unexpectedly – was constant. Final Expenses. The cost of my funeral and burial along with other financial obligations would have been difficult for my wife and family to cover in our younger years. However, with adequate life insurance, I was confident that neither my wife nor my parents would suffer financially. College Expenses. Like most fathers, I wanted to be sure my kids had a good education, so purchased enough coverage to ensure that my premature death wouldn’t prohibit that. Spouse’s Income. My wife’s income was essential to our lifestyle. I also realized that if she passed away prematurely, I would need help with those tasks which we had shared and I could not do alone, such as cleaning the house, laundry, cooking, parent-teacher conferences, school work, and doctor’s visits. Home Mortgage and Other Debts. As time passed, we began to acquire assets – a house, automobiles, and other accoutrements of a good life. However, with these assets came various debts. In addition to providing income to cover everyday living expenses, I purchased insurance to cover debts (such as the mortgage) so that my family wouldn’t have to sell our house to stay solvent. My Partner’s Share of the Company. I used life insurance on my business partner’s life to ensure that I would have enough cash to buy his interest from his heirs and pay his share of the company’s obligations without having to sell the company itself. He had the same needs (the risk that I might die), so he also purchased insurance on my life. Funding of a buy-sell agreement was accomplished with joint life insurance with first-to-die coverage. Possible Estate Taxes. If necessary, my insurance ensured that my heirs would not be required to sell any assets or jeopardize the funds we had saved for retirement in order to pay estate taxes. Use of insurance for this purpose is most common in large estates and uses permanent insurance, rather than term, to ensure that the coverage remains in force until the end of life. During my lifetime, I have spent thousands of dollars in premiums for life insurance, but have never regretted a single penny of the expense. In its purest and simplest form, life insurance is a contract between an individual and an insurance company whereby the latter agrees to pay the beneficiaries of an insured policyholder a specific sum of money in the event of the insured’s death. In return, the policyholder agrees to pay the insurance company a premium as long as the contract remains in force. The company doesn’t insure against death, but against death within a specified period of coverage – 1 year, 5 years, 10 years, or lifetime. Using the law of large numbers and statistical data, actuaries calculate the mortality rate for individuals based upon age, gender, use of tobacco, health status, and family history from age 1 to 100. This data, along with factors for administrative costs and profits, is used to establish premium rates to be paid by policyholders. An example of a mortality table based on 2007 data is available from the Social Security Administration. Using this mortality table, a male at the age of 25, for example, has a mortality rate of 0.1446 in a group of 1,000 similar individuals. As a consequence, he would pay a premium of $1.45 plus administrative costs and profits for each $1,000 of coverage in the first year (0.001446 expected deaths x $1,000 = $1.45). As this person ages, the odds that he is going to die within the contract year slightly increase with a corresponding increase in the annual premium cost. The same table indicates that the mortality rate for a male age 65 is 1.6723 per 1,000. Consequently, the older male’s premium for a single year of coverage would be $16.72 plus administrative costs and profits for each $1,000 of coverage (16.723 expected deaths x $1,000 = $16.72), reflecting that the likelihood of his death within the policy year is 11.5 times greater than a 25-year-old. Each insurance company develops its own mortality tables based upon its group experience. However, all mortality tables reflect the likelihood that the possibility of death increases as a person ages or, conversely, greater amounts of coverage are available for the same premium the younger the person is. The example in the previous paragraph is a type of insurance commonly referred to as “term,” or “pure,” life insurance. It is written to provide a specific death benefit and protects an individual for a specific period of time in return for the policyholder’s payment of a premium. If the insured person is alive at the end of the contract period, the premium is lost – in other words, there is no payment by the insurance company to either the insured person or his heirs. A new premium, reflecting the greater likelihood of mortality, is subsequently calculated by the insurance company and collected from the policyholder to provide a succeeding year of coverage. Since the likelihood of death increases each year of life, the same premium payment would purchase a lower amount of insurance each successive year. Or putting it another way, to keep the same face amount of insurance in place, premiums rise each year to cover increased mortality risk. Term insurance is available in a variety of different contract periods – annually (annual renewable term), 5 years, 10 years, and 20 years. When the contract period extends beyond one year, the insurance company adds the individual mortality rate for each year and calculates an average premium which the policyholder pays for each year. A five-year term policy would be the total of five individual calculations divided by five to set the average annual payment. A 10-year policy would be the sum of 10 individual calculations divided by 10, and so on. The premium is the same each year of coverage, being higher than the actual mortality risk would require in the earlier years and less in the later years of the policy. Commonly referred to as whole life insurance, most permanent insurance is simply an extended term insurance policy with an accumulating savings element. The insurance is designed so that the investment portion increases at a similar pace as the mortality rate. As the investment side grows, the portion of the face amount of the policy paid by insurance decreases and the face amount or death benefit remains unchanged. The face amount of the policy is paid to the beneficiaries at the death of the insured or at the insured’s age of 100, presuming that premiums are paid as required by contract. It is typically paid from a combination of the underlying investment component and the insurance element. Some financial planners discourage buying whole life insurance when the result would be less coverage than needed, preferring to keep the savings and insurance elements separate. In my experience, a greater problem with whole life insurance is that younger people starting a family and incurring significant long-term debts are often under-insured because the coverage they can afford for permanent insurance premiums is less than what is needed for their circumstances. Universal life insurance is a more flexible variation of permanent insurance designed to overcome the investment and management rigidity typically found in whole life policies. Effectively, the insurance and investment portions are separate, allowing the owner of the policy to vary the death benefit, accumulated cash value, and premiums to vary as his or her circumstances change. Unlike term insurance which may not be available or can become prohibitively expensive as you age, a universal life insurance policy provides a method to ensure coverage for your lifetime, as well as permanent estate concerns such as burial expenses and estate taxes. While there are popular rules of thumb recommending the amount of life insurance needed (8 to 10 times annual income) and a number of available online programs to calculate the amount of insurance which should be bought, each person’s situation is different, and needs change over time. As a consequence, you should assess your situation each time a major event in your life occurs, such as a marriage, birth, home purchase, new business, death of a spouse, or retirement. Multiply your annual after-tax income by the number of years you expect a life insurance need to exist. For example, your spouse might need an after-tax income of $40,000 until retirement 40 years hence, or $1,600,000 in total. Add the costs of major events, such as children, college, major future purchases, and final expenses ($1,600,000 spousal need + $500,000 for children and college = $2,100,000). Next, deduct the value of the net assets (assets – liability) you own to determine the amount of money your heirs are going to need in total over the years ($2,100,000 need – $100,000 assets = $2,000,000). Finally, determine the present value of the sum – this is how much coverage you need to purchase. Use a present value table or calculator with 40 as the number of years or periods (in this example, this is how long you expect a need for life insurance to exist) and 2.0% as the interest rate. A conservative interest rate ensures that your heirs can make the insurance money last at least as long as their need for it. A growth rate of 2.0% each year is both conservative and realistic. A present value table indicates that the present value factor for this rate and term is 0.4529. Multiply this figure by the total amount you determined you need to provide ($2,000,000 x 0.4529 = $905,800). In this example, you need approximately $910,000 in term insurance today. Similarly, determine a minimum amount of coverage – perhaps one that accounts for a lesser amount for college or annual income replacement for your spouse. Having two figures gives you something to work with if the premium for the ideal amount of coverage is unaffordable. Determine how much in premiums you can afford to pay presently and how much you’re likely to be able to afford in later years. If you don’t already have a personal budget, create one that accounts for other necessities of life, such as shelter, food, clothing, transportation, and health insurance, to determine what you can afford. Be sure that you understand the underwriting requirements involved in pricing your policy. For example, if you smoke, get the costs of a smoker’s policy rather than relying upon the advertised premium or what a non-smoker in perfect health would pay. A non-smoking 25-year-old male in good health probably pays a premium between $1,500 and $2,000 per year for $910,000 of term insurance. While you are the insured life, the policy owner can be a trust, your spouse, or anyone else who has an insurable interest in your life. You want to be sure you understand the tax aspects of any insurance proceeds to your beneficiaries upon your death. For example, the ownership of the policy could be held by your spouse, thus avoiding estate taxes on the insurance proceeds which would be due if the covered spouse is also the owner of the policy. Because there are legal requirements to ensure that the proceeds remain outside the estate, it is always wise to consult an estate planner or attorney when dealing with end-of-life issues. Pre-Marriage and Children. Young adults and married people without children usually don’t have a major need for life insurance. Other than funeral costs and payment of college loans and consumer debts, obligations are minimal. If both you and your spouse work, don’t own a home, or accumulate significant debt, there is little need to buy insurance to protect your earning power since your surviving spouse is likely to continue to work. In addition, a young surviving partner is likely to remarry. The amount of life insurance needed is usually less than $50,000 for either partner. Purchase of a House or Incurring a Major Debt. If you are single and no one else is obligated on a certain debt, the asset can be sold and the proceeds used for payment upon your passing. If you are married and wish the asset to remain intact, the amount of insurance needed would include the remaining balance on the debt. For example, if your mortgage is $200,000, your need would be $200,000. As the mortgage is paid off, the amount of insurance needed would decrease. However, you should consider the continuing cost of house insurance and taxes in your everyday living expense. Life insurance for someone in this position probably ranges between $400,000 and $600,000. Children. According to a recent study by the U.S. Department of Agriculture, the average cost of raising a child born in 2010 to age 18 is $226,920. College costs are another $21,447 per year at an in-state public college. Again, the need for insurance to cover these costs decreases as you continue to live, work, and save. Where in year one, you might need approximately $300,000 in coverage for a newborn, including projected college costs, that cost reduces each year of the child’s life. Remember, insurance is intended to provide the income you are not able to provide due to an early death; it is payable only if you die. A separate savings element, possibly in the form of the accumulated cash value in a permanent insurance policy, is needed to cover expenses if you’re alive. People with children should have a minimum of $200,000 per child in life insurance coverage in addition to their other needs. Starting a Business. Whenever a business owner dies, an estate tax is due. Life insurance is one way to provide liquidity when it is needed unless you are prepared to sell the business. If you’re in a partnership, all partners want to fund a buy-sell agreement with insurance to be sure that they do not have to cover the costs of company obligations borne by the partner and that they also have available cash to purchase the deceased partner’s interests in the company from his or her heirs. This insurance need should be covered in a separate policy with different owners from insurance purchased to buy family security. Death and Estate Taxes. 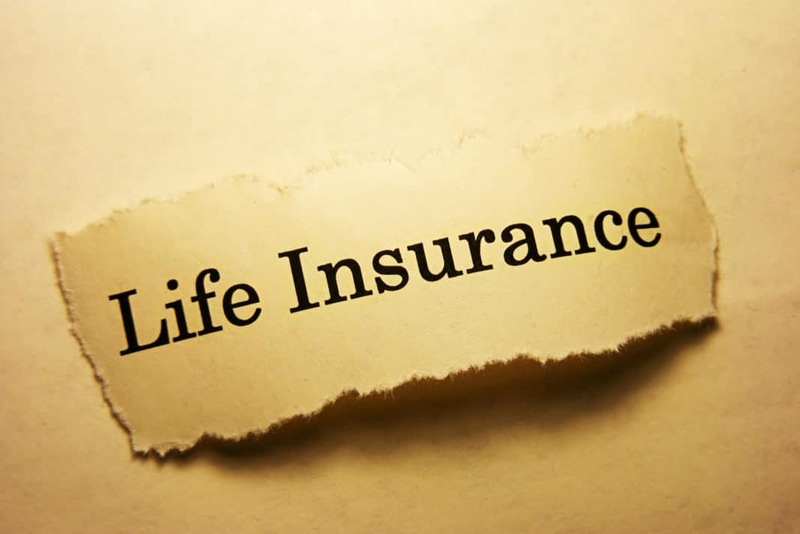 By the time most people reach retirement age, there is little need for life insurance unless the person has a substantial estate (well above $1 million). In that case, especially when the assets may be difficult to sell or would require a hardship by the beneficiaries, many individuals keep life insurance in place solely for its liquidity value. If your estate is in this category, visit an attorney for a complete estate planning exercise – it pays for itself in saved taxes. Some people mistakenly believe that life insurance is a scam because the money for premiums is lost if death doesn’t occur during the coverage period. They compare life insurance to gambling and forgo the protection. Don’t be a fool. There is no bet – you are going to die, and no one knows when. It could be today, tomorrow, or 50 years into the future, but it will happen. Life insurance protects your heirs from the unknowable. What other factors do you consider when determining the amount of life insurance you need?